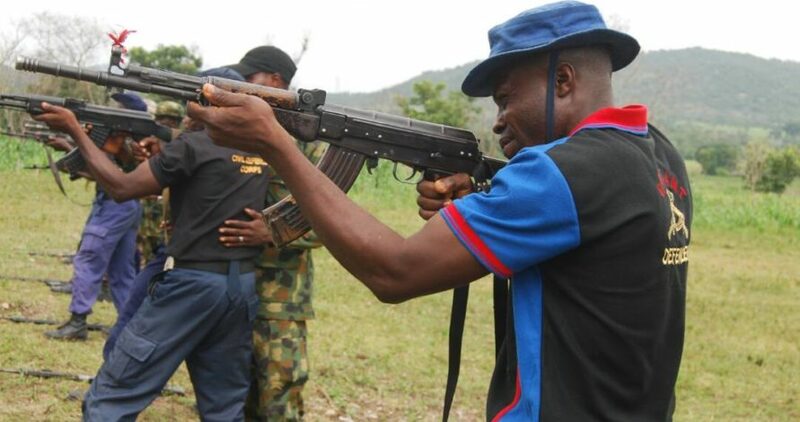 The Nigeria Security and Civil Defence Corps (NSCDC), Ondo State Command, has trained no fewer than 74 personnel on weapon handling to enhance security. NSCDC State Commandant, Mr. Pedro Awili, disclosed this, on Saturday, during the passing-out parade of the personnel held at 32 Artillery Brigade, Owena Cantonment, Akure. “Today being the first week of June 2018, we just passed out 74 of our officers who have been involved in four months vigorous weapon handling training. “It is no longer news in the country today that security issues are now the order of the day. “So, with this, we are properly positioning our personnel for the task ahead to enhance their effectiveness concerning security problems. “Aside the general election that is around the corner, we want to position our men to tackle issues relating to insurgency, terrorism, kidnapping and cultism across the state. “It will also help us to checkmate the activities of those who are into sharp practices in the oil industry,’’Awili said. The NSCDC commandant commended the Nigerian Army for the synergy with the Ondo NSCDC in training members of the corps. According to him, the Nigerian Army has been training men of the NSCDC all over the federation right from inception of the NSCDC. “Our partnership with the Nigerian Army started a long time ago in training our men all over the country,’’ he said. Awili urged the trainees to handle the arms properly, saying that the arms were Federal Government’s property. “These arms should be handled very carefully by trainees and we don’t want to hear something like accidental discharge or molestation of members of the public, ‘’ he warned. In his speech, Brig.-Gen. James Ataguba, the Brigade Commander, who was represented by Lt. Mufutau Alimi, the Quarter Master, said that the training covered how to handle AK 47 rifle, IS, Core value and rule of engagement for NSCDC personnel. Ataguba, who lauded the participants for their conduct during the training, described their performances as above the average. “Today is the passing out of NSCDC personnel that were trained on weapon handling. The course started four months ago with a total of 74 participants. “Though the period of the course was short due to other engagements but the conduct of the students was satisfactory, considering their performance which was above average,’’ he said. Ataguba, therefore, assured the NSCDC of further cooperation and partnership in training and retraining the corps. Two of the trainees, DCIC Ayibinu Ogunsuyi and DSC Abiodun Aminu, appreciated the commandant-general and the state commandant for granting them and others, the opportunity to participate in the training.